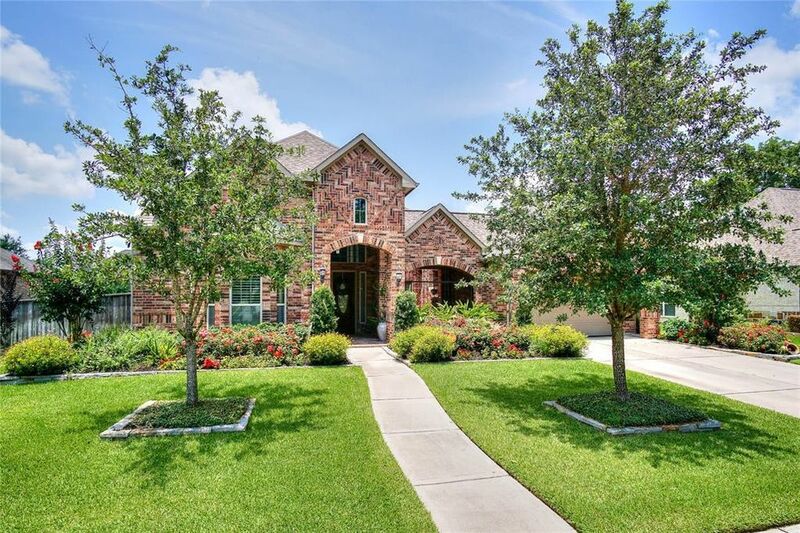 Must see stunning 4 bed 3.5 bath home! Upon entry you are greeted by an executive study & an elegant dining room with direct access to a private front courtyard with a built-in brick fireplace! Kick back in the huge family room featuring hardwood floors, a built-in entertainment center & a wall of windows that shower the space in natural sunlight! Create your favorite recipes in the gorgeous gourmet island kitchen equipped with granite countertops, tile backsplash, a walk-in pantry & access to a butler's pantry with a built-in wine fridge! In the evenings, withdraw to the huge master suite complete with wood floors, windows with plantation shutters & a luxurious bathroom showcasing double vanities, a walk-in closet, a whirlpool soaking tub & a 2-person walk-in shower! Downstairs secondary bedroom with a dedicated, wheelchair accessible bathroom! Game room, media room & 2 bedrooms upstairs! Backyard with an extended covered patio, a built-in arbor & an outdoor kitchen! Don't miss out! Directions: From I-10 W Exit Grand Pkwy go South. Right on Long Meadow Farms. Left on Winston Ranch. Right on James Long. Left on Everhart Trace. Everhart Trace curves into Aurora Park Drive. Home is on the right.